PETRO SANAT SAPRA Co. (PSS) is a well established company with new ideas & values. We are ISO 9001 : 2008 and ISO TS 29001 Certified Company. We are a general trading company which has mainly focused on oil, gas and petrochemical industries. The company maintains a large in house data which enables us to quickly source commodities and materials and makes prompt and competitive quotations for any customer requirement with the manufacturer’s information and specification. It is always our endeavor to coordinate and deal with reputed manufacturers and factories and to meet the satisfaction in terms of quality as well as price competitiveness of our end user. 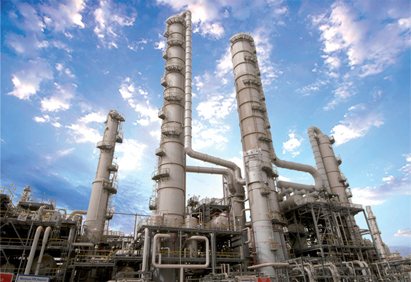 We are dedicated to providing our customers with innovative solutions and equipment for processing units and pipelines. PETRO SANAT SAPRA Co. (PSS) by using experiences of their experts and with outstanding knowledge of all methods and international and current standards in the national industries is having readiness in all stages of purchase engineering services, procurement and supply of goods. PSS has been highly active in the fields of oil, gas and petrochemical industries. This company is well integrated in the petroleum industry and quite capable of managing most challenging projects. We are recognized in the market as being a highly technical and professional sales team specializing in piping materials, process equipment like pumps and compressors as well as instrument equipment. PSS is successfully providing service to the following industries: Oil, Gas, Petrochemical, Power, Steel Industry and Water treatment. © All Rights are Reserved for PETRO SANAT SAPRA Company.